A few years ago, I wrote a piece called “Great Performances That Won’t Be Nominated”. At that time, in September 2015, I named four performances – one in each of the four major acting categories – that I believed wouldn’t be up for major awards. Many factors went into this: how many people saw these films, competition ahead, and whether studios were actually going to put these performances up for consideration. I got three out of four right. But one of the ones I thought didn’t have a chance actually made it far. Alicia Vikander starred in two ’15 releases: “The Danish Girl” and “Ex Machina”. her work in “Danish” won her Best Supporting Actress at the Oscars, Critics Choice Awards and SAG Awards. But because of specific placement and length of time on screen, Vikander was nominated for Best Actress at the Golden Globes and BAFTAs for that performance, losing for both to “Room”’s Brie Larson. 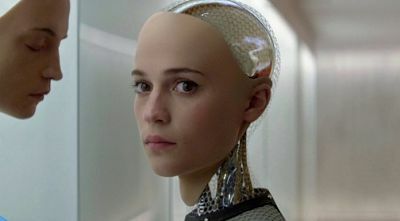 Therefore, her performance in “Ex Machina” (which is only slightly shorter) was able to be on the Best Supporting Actress ballot for the Globes and BAFTAs. She would lose both of those, however, to Kate Winslet for “Steve Jobs”. I was pleasantly surprised that Vikander was recognized for an admirable performance in “Ex Machina”. At the time, this sci-fi romance drama was the highest-grossing release for studio A24. And it ended up winning the Visual Effects Oscar. This is one of the best movies of the year. 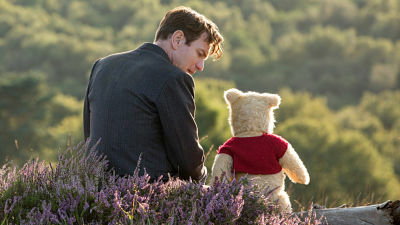 An unexpectedly deep, raw and touching twist on the Winnie the Pooh story. And McGregor is completely in control with a delicate, moving performance. For some reason, Disney doesn’t even have this up on their For Your Consideration website. I think it ought to at least be given a shot for Adapted Screenplay. It’s “Ex Machina” director Alex Garland’s well-crafted follow-up. I think Portman is better in this than she was playing Jackie Kennedy and as an unstable rock star in “Vox Lux” (out Dec. 7). She’s simply captivating as a biologist looking for answers in this mysterious, surprising and daring story. The fact that Paramount isn’t publicly putting this up for consideration is a flat-out mistake. The “Bridge of Spies” Oscar winner teamed-up with director Steven Spielberg for the third time on this dazzling sci-fi epic that’s gripping from start to finish. Warner Bros. is asking voters to consider the film in several technical categories. But while Rylance’s role is small, it’s a pivotal, emotional and memorable one that perfectly ties everything together. 40 years after originating the role of Laurie Strode, Curtis was able to give her iconic character a proper second act. Like Sylvester Stallone in “Creed” and Harrison Ford in “Blade Runner 2049”, Curtis gave Strode new layers and meaning. Universal doesn’t currently have “Halloween” on their FYC list. Is this some kind of trick? It’d be a treat if this changed.